What makes a good antivirus and what are its features? Day by day, the virus and other malware threats are growing even bigger than anticipated – thereby, it has become vital for any smart device user to stay updated to steer clear of the dangers. If you are wondering which is the good antivirus to choose, then you will need to understand its features first. There are several free antivirus software available in the market today but zeroing-in on the right product that would best-fit your system needs is all that matters. Even before you get started, look for the below-mentioned features that make a good antivirus program – never get carried away by the claims, and also remember to do sufficient research on the anti-virus programs. Any good antivirus program will be able to detect different types of viruses and malware in compressed or uncompressed form. This should be the first and foremost deciding factor for your anti-virus program. Besides that, see that your robust antivirus program doesn’t consume a lot of the system resources. If these qualities match, then the program is a real winner. 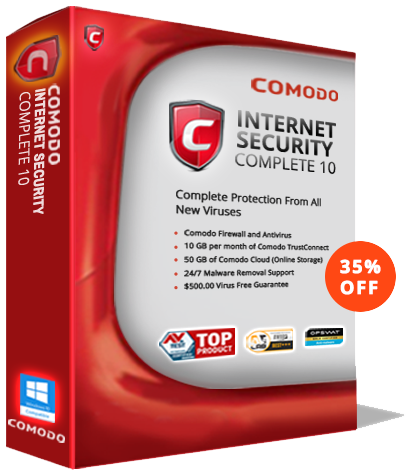 Few of the free antivirus programs like Comodo free antivirus, after eradicating all the threats from a device ensures the continual safety with the help of a powerful firewall. The powerful firewall helps in keeping away all the incoming threats. An effective anti-virus program provides a secure environment to run files in real time to check for foul play. The Comodo free antivirus is a perfect example of one such platform that provides virtual space to run and analyze untrusted, unknown and malicious applications. Sometimes, this feature is also known by the names ‘virus cleanup’ mode, or ‘virtual sandbox’. The best part of the feature is that it provides safe removal of the virus from the computer. A good anti-virus program automatically runs virus scan at regular intervals to make sure the system is safe from all dangers. The virus scan will help spot on all the new threats that sneaked into your computer bypassing the usual authorisations. Identity theft has become common these days. With more and more paper facts getting converted into digital forms, it has paved the easy access for online thieves to steal the identity of known and unknown personnel. The online criminals make use of this information for their personal gains. A good antivirus program will safeguard your personal information in the best possible ways. For instance, it will make sure your system is safe and secure by verifying every time the user inputs the credit card or banking information online. During bad times, especially when your computer is under attack, it is better to run the backup without taking any chances. Any good antivirus program will sport this feature by default and will help you in restoring that backup when all the issues have settled down. Emails also carry viruses and malware in the attachments. Even though you might be extra cautious, an impersonator email can cause the damage to your computer. Sometimes, all it requires to do the harm is opening without clicking on anything. In such worse case scenarios, a good antivirus program protects your computer from being the victim of scans or phishing schemes. More and more people use Facebook or Twitter accounts rigorously on a daily basis. The number of times they open and close their accounts on a single day is a matter of debate among research scholars, today. So, these actions of a user provide an advantageous platform for hackers to implant viruses and malware on the computers. The intentions of hackers may vary but they never do any good to the computer user. A good antivirus software will send alerts to the user when a Facebook phishing scam or a Twitter malicious link has been detected.